Here is the list of a few of my favourite finds of baby names given to 6 children in 1880. Of course, like in the list given to five babies, names that are common now are found here as well like Suzanne, Monica, Mercedes, Faith, Camilla, Alba and Aurora were there for the girls and for boys Rupert, Gary, Dexter, Damon and Colin. Also, something I find interesting is the trend for boy names on girls. Six girls were given the names Clifford, Freddie, Harry, Leo and Robbie and the same can be said in reverse with Ruby, Nellie, Hattie, Grace, Ethel, Eliza, Dora and Annie where given to six boys in 1880. Another little note, the name Adolf was given to six boys in this year (when the name did not yet have the negative connotations that is does now). * Also, a point for my own amusement, Reese Witherspoon just named her new son, Tennessee James, the first name was mentioned on the girls list of the given to five babies list. Well it seems that mom Reese's name was given to six boys in this year. And now here are my twenty picks from the six names that I think I quite interesting finds. Bena – (pronounced: bee-NA) is a variant of the name Benita which is Latin for blessed. Despite having only been given to only 6 babies in 1880, it was ranked #752 on the charts. Bena was given to less than five if any babies in 2011, though Bena is found in various names like Abena for girls and Benaiah, Kwabena and Benas in boys so the sound is not uncommon. A possible nickname could be ‘bee’. Fidelia – (pronounced: fee-DIHL-ee-ah) is a rare Spanish name that is the feminine form of Fidel and a variant of Fidelity and means ‘faithful’. It was ranked #782 in 1880 and in 2011, is not in the Top 1000 but was given to five babies, one less than in 1880. Joella –(pronounced: yo-EHL-lah or jo-EHL-la) is a rare name of Hebrew origin meaning ‘the Lord is God’. It is a female variant of the male Joel, and another variant of the name could be Joelle. In 1880 it was ranked #792. It is still around today with 55 girls given the name in 2011. It’s nickname, Ella is currently #12 on the charts and for those that do not want to use a ‘popular name’ then, expanding it to Joella to get the nickname Ella might be an option for you. Louetta – (pronounced: loo-ET-ah) is of both Germanic and American English origin it means ‘fame and war’. It was ranked #802 in 1880 and in 2011 it was given to less than five if any babies. I actually find this name quite charming and like Joella is to Ella, Louetta is to Etta (or Lou). With Etta recently been given the star baby treatment (in 2011 it was given to 83 babies by I expect to see that number rise), it could be a variant that could work for you. It is also a place name in Texas. Merle – (pronounced: MURL) is of French origin and means ‘blackbird’. It was ranked #810 in 1880 but didn’t hit its peak until the early 1900’s. It has been off the charts since 1956 but was given to 17 babies in 2011 but not for girls, for boys. It has always been a name used for both genders but I find it slightly disappointing that less than 5, if any baby girls were given the name. With the resurgence of early 1900’s name coming back, Merle fits into that category of vintage charm, like Frances but it seems to be a bit like Ethel. 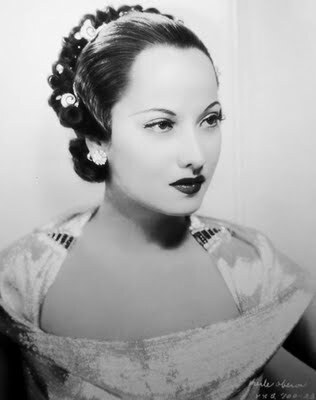 It also has that Golden Age of Hollywood thanks to the fabulous actress Merle Oberon. While not a popular namesake like Jean Harlow, Merle is a fascinating woman and is best known for her roles as Anne Boleyn in ‘The Private Lives of Henry VIII’ and Catherine Earnshaw in ‘Wuthering Heights’ opposite Laurence Olivier. She actually went by her middle name as she was born Estelle Merle and her nickname was ‘Queenie’. I think I will have to profile Merle as a name on its own in the future. Also, in the Netherlands, the name is ranked #133 for females. Ottilie – (pronounced: o-TEE-lee) is a name of Germanic background and means ‘prosperous in battle’. It is a female variant of the German Otto. Though German, it has a French feel to it as well. Ranked #819 in 1880, it is not currently in the charts and given to less than 5, if any babies in 2011, I feel like this name and its family names like Ottoline (which was given celeb-cred thanks to Sienna Miller giving it as the middle name to her daughter) and Ottilia are about to start making appearances of at least 5 babies or more in the years to come. Sybilla – (pronounced: sih-BIH-lah) is a name of mixed cultural background. It has been claimed to Polish, Late Roman, English, French and German background but all agree that is derived from the Old Greek origin and means ‘oracle; prophetess’. It is obviously a variant form of Sybil, which has gained popularity thanks to ‘Downton Abbey’ and the vintage name craze so why not this next step. Another way of spelling it is Sibylla. It was ranked in the Top 1000 in 1880 and has never ranked in the US or anywhere since. It was given to 5 girls in 2011 so there is some hope for the name, and Sybil was given to 13. The Sibylla/Sibyl variations where given to less than five or none at all. Sybilla is special though as reportedly in the late 5th century BC, the name ‘Sybilla/Sibylla’ was given to a ‘single inspired prophetess’. Vallie – (pronounced: VAO-liy) is a name of Latin origin that means ‘healthy, strong’. It reached its height of popularity in 1903 and is seen as a variant or diminutive of Valeria/Valerie. It could also be an alternative to the nature name Valley, so it looks less ‘nature’ oriented. Winona – (pronounced: wi-NON-ah) is a name of Native American origin, in particular Dakota, and means ‘first-born daughter’. It was borne by a legendary Sioux Princess and heroine but is best known on the actress Winona Ryder nowadays. The last time Winona was on the charts was in 1957, which shocked me as I thought in the late 80’s and 90’s, Ryder would have given the name a power surge. It was given to 34 girls in 1990 (the year Edward Scissorhands came out) and in 1995 it was given to 29 girls. Again, I just thought there would be more but then, I live in Australia and the first time I heard it was on the actress, not a friend and with similar naming styles between the countries, I understand the trend. In 2011, it was given to 20 girls. So it is a name consistently given, just not given to quite so many. Zelda – (pronounced: zel-DAH) is a name of Yiddish and Germanic background. In Yiddish it means ‘happy, blessed’ while in Germanic it means ‘gray warrior’. It also bears the meaning of ‘luck’. The name was made famous by The Great Gatsby’s author, F. Scott Fitzgerald’s wife, Zelda Fitzgerald but it seems today it might be more associated Princess Zelda from the ‘Legend of Zelda’ games. That is not a reason to not use a name and 80 families agreed in 2011, giving their daughter that name. Also, if you like Sabrina, the Teenage Witch, you will remember that this is the name of one of her aunts. The name also has celeb-cred as Robin Williams named his daughter, now in her 20’s, Zelda. Arlington – (pronounced: AAR-lihng-tahn) is an Old English name meaning ‘a town of Aelfred, Aelffrith or Eorl’. It sometimes used as a girl’s name but I see it as more of a boy’s name. The name reached its peak in 1910 and in 2011, it was given to 6 girls and 7 boys so it has a pretty even spread against either gender. I think it is a charming name actually. ‘Arlie’ would make for a nice nickname, fitting against an Alfie’s or Archie’s. Asberry – (pronounced: AS-beer-ee) is an English name meaning ‘fort close to ash trees’ or ‘fortress’. It is a variant of the name Asbury. It is an English surname which was given to someone who used to come from Asbury in Devonshire or Berkshire. The name was given to less than 5, or none at all, in 2011, neither variation was so this would make for an interesting and rare choice. Caesar – (pronounced: SEE-zahr) is an Ancient Roman name meaning ‘long-haired’ or ‘he who was cut out from the womb’ or even ‘blue-grey colour’. Obviously, its most famous namesake is Julius Caesar and also the rest of his family who adopted the name Caesar into their titles when they became Emperors of Rome. There is also a salad. Unfortunately, it was also used as a slave name in early American history. It was given to 59 babies in 2011 but the variant, Cesar, was given to 1605 babies in 2011. Clarke – (pronounced: KLAHRK) is an English name meaning ‘cleric, scribe’. It was more well known in its variant form of Clark, whose most famous bearer is Clark Gable (1901-1960), the Old Hollywood Actor who was best known for playing Rhett Butler in Gone with the Wind. Clark is currently ranked #616 in the US, given to 384 boys as well as 7 girls. However, the Clarke we are here to talk about was given to 23 girls and 23 boys. I think the –e on the end gives the name more appeal to the girl side (some might even associate with the British Actress Emilia Clarke – though it might be a long shot for the moment). Friend – (pronounced: FRahND) is an English name meaning ‘friend’. It was given to 6 babies in 1880 but I am glad to say that less than five, if any, of either gender where named Friend in 2011. I mean, being a friend is good, and I don’t like to think that most names are plausible but really, you call so many people friend, would you want to be named Friend as well. Hampton – (pronounced: HAMP-tun) is an English name meaning ‘home-settlement’ but really, it is another place name in our eyes thanks to the Hamptons. It was given to 66 boys in 2011 and 7 girls but I feel like this might rise as place names are continually popular at the moment, plus maybe the show Revenge, set in the Hamptons will increase the name as reportedly it is having an effect on the name Grayson, so why not Hampton? It fits in the same boat to me. Holmes – (pronounced: HOL-mz) is Middle English name meaning ‘dweller near a holly tree’ but when it comes to this name, I can guarantee that most people associate it was Mr Sherlock Holmes. I think personally, he is a great namesake but I can see why some might want to not use it up front, by why not in the middle. 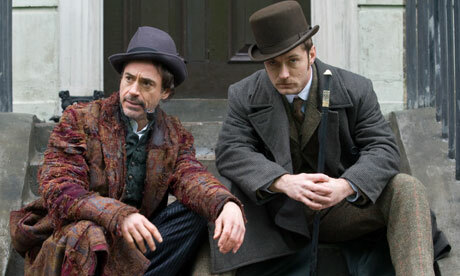 Sherlock Holmes is quite popular at the moment with the BBC version ‘Sherlock’, the Robert Downey Jr films and now the new CBS show ‘Elementary’. It was given to less than five, if any, in 2011, which for some reason surprised me (not sure why) but I think if someone were to use it, it would be in the middle spot. I would consider using it, but I might go with it in the second spot. Orren – (pronounced: AOR-ahn) comes from two different origins Hebrew and Old Greek. In Hebrew it means ‘pine tree’ and in Old Greek it means ‘man of the mountains’. So really, this name is one for all this nature lovers. It is a variant of Oren which was given to 88 baby boys in 2011 and 5 girls. This Orren however was only given to 8 boys. Stanford – (pronounced: STAN-ferd) is an English name meaning ‘stone ford’. It, in my eyes, is given to a child that you want to go to university, you are like screaming ‘Go to Stanford’ or ‘I went to Stanford’. Not that it is a bad name however. It is alright to look at but unfortunately the connotations still lie there. But are those connotations necessarily bad, no they are not, but it might put pressure on the kid one day (not as a literal child however) when he realises that Stanford is a really prestigious university. It was given to 7 boys in 2011. Wilhelm – (pronounced: VIL-helm) is a German cognate of William and means ‘resolute protector’. It was the name of two German Emperors but is probably most remembered as the name of Kaiser Wilhelm, the man who Allies like to blame for the start of WWI (he was a major factor in it but many other factors came into play). He abdicated at the end of the War, the last monarch in Germany. I think it would make an interesting alternative to William and 16 sets of parents agree as they named their boy Wilhelm. Maybe in some parts, some might consider it too German but I think it makes an interesting alternative. I actually like Vallie, since I don't think there's anything particularly negative about valleys, anyway. And I prefer the original name association for Winona than I do the actress, who really isn't that popular anymore, anyway. As for the boy names, I'm struggling with Asberry (not shocking!) but I think Orren is great!